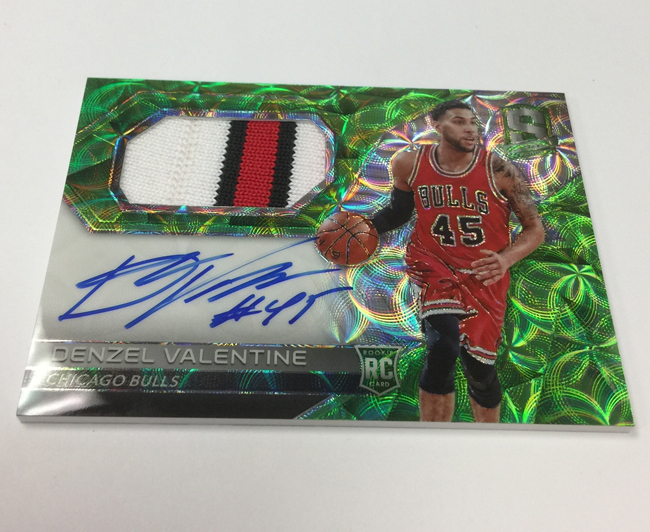 There’s just something about Panini America’s bold Spectra brand. No matter the year, no matter the sport, Spectra continues to impress with each new release, bolstered from the beginning by an irresistible combination of colors, content and construction. So as the company prepares to release 2016-17 Spectra Basketball on Wednesday, it should comes as absolutely no surprise that the key brand tenets return vibrantly intact. 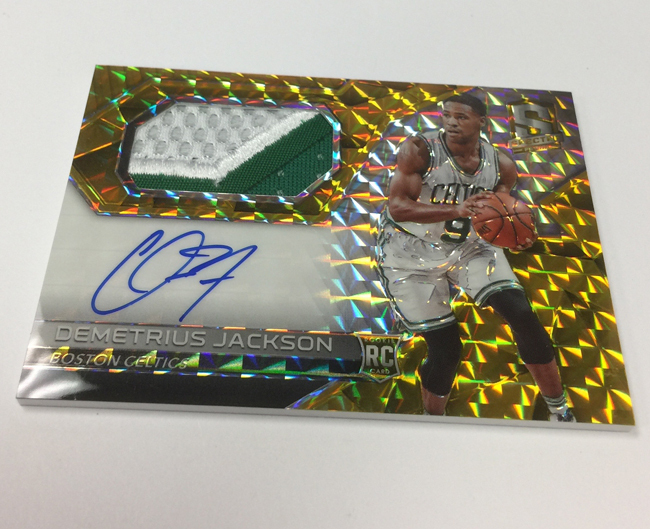 On average, each box of 2016-17 Spectra Basketball will deliver two base cards, one parallel, four autographs and three memorabilia cards. The new-this-year Nebula 1/1 parallel is a spectacular addition to the product and the usual arsenal of rainbow chases return with their dazzling surface variances. Ink and prime-memorabilia specimens abound again as well.